Bio: I was born and spent most of my life in Poland. I moved to Las Vegas over 10 years ago. My life changed quite a lot because of that move. First my career: left the corporate world and chose to be a professional photographer and second my personal life: instead of engaging in active, challenging activities and being very social to concentrated mostly on my work. When my friend told me about Hiking Las Vegas I was instantly attracted to it. Every hike was a fun challenge and brings me to my old self. Age: In my opinion age does not matter, it matters how you feel and I feel great. 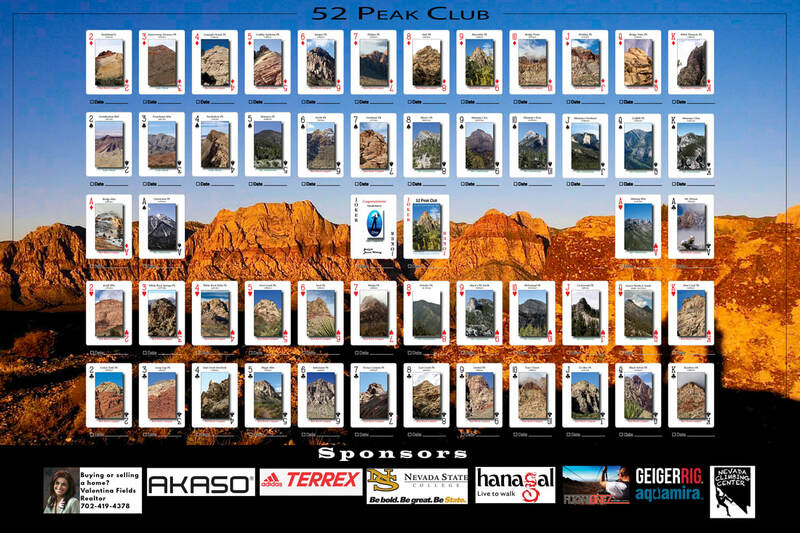 Why did you join the 52 Peak Club: Needed a challenge and in my opinion that is a great way to stay in shape. 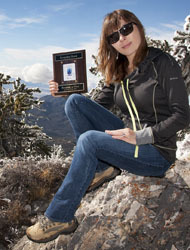 Toughest Peak: I will never forget the hike to Lost Creek Peak and the thin ledge we needed to cross. It was a first time in a long time when needed to push through my fear. Favorite Hike: Lost Creek peak via thin ledge was not only the most challenging for me but also my favorite hike from the entire 52 peak hikes. .
How did you feel once you became a 53er: Amazing, I felt like I really could achieve anything I put my heart and interest in. I was also full of gratitude for all the people and organizers who helped me to complete this program. 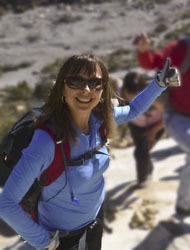 Advice for new hikers: Just enjoy your journey, one step at the time… one hike at the time… and remember everything is possible.